Hornet softball falls to Wyalusing, 2-1. Warriner double lifts Hornets over Towanda. 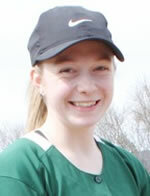 Wellsboro softball wins NTL, Division I; ND wins division.